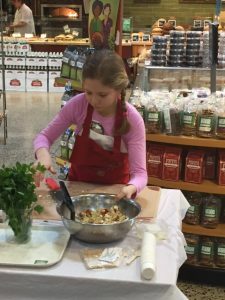 Ten year old Grace Zehill of Southold had the opportunity to participate in the Iron Chef Jr. competition held on March 18 at the Lake Grove Whole Foods Market. The purpose of this event, besides having fun and cooking delicious food, is to encourage youth to learn new skills in cooking that will lead to a healthier lifestyles. 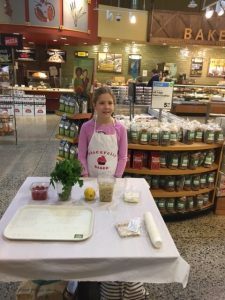 The competition also promotes the use of local food to help support our local farmers and environment and create new, healthy, vegetarian or vegan based recipes that use local ingredients and can be easily implemented into school cafeteria menus. Iron Chef Jr. is sponsored by Cornell Cooperative Extension of Suffolk County. Grace attends Southold schools where she is a 5th grader. She enjoys playing tennis, lacrosse and soccer and when you can't find her on the field, she's in the kitchen cooking and mixing up recipes with local produce for her family and friends. 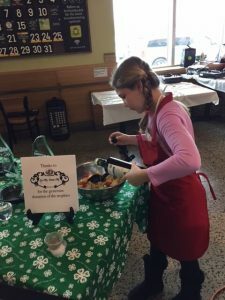 Grace also participates with the Southold Schools community garden and this past summer she participated in a competition with her dad Charlie where they won 3rd place for "NoFo Sauce Boss" at Jason's Vineyard. 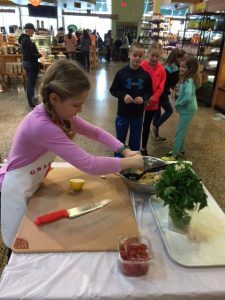 Although participants in Iron Chef Jr. needed to be enrolled in junior high school, Grace was able to show off her cooking skills by doing a demonstration and tasting of a lemon orzo salad. It was a hit! 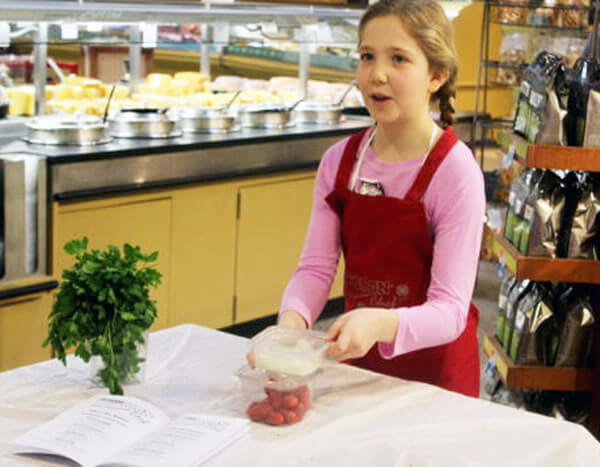 Grace hopes to compete in the future not only on Iron Chef Jr. but also on the broadcast television show Iron Chef. With her love of food, cooking and living on Long Island and having close proximity and access to locally grown foods, we see an up and coming winning chef in the future! Congratulations Grace and keep up the great work.